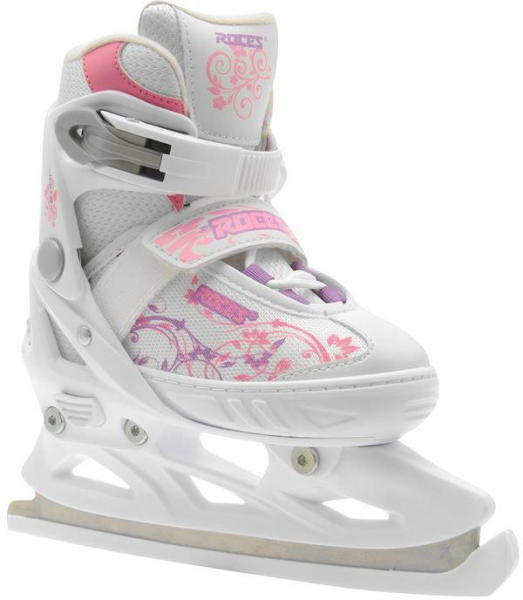 The Roces Jockey Junior Ice Skates is the perfect winter accessory for having fun on some ice! The supportive back, sturdy frame and blade housing makes for a solid and energetic skate with excellent manoeuvrability and great power transition. The lacing, hook and loop tape and ratchet closure makes for a super easy closure that provides complete coverage for a super stable feel and locked in sensation. The design is wrapped up with a size adapting ability for increased life span as the Roces Jockey Junior Ice Skates can be adjusted to suit a range of sizes.